My attention was grabbed by this article in Advertising Age by Steve Rubel, dramatically titled "It's time to prepare for the end of the Web as we know it." The article references a Morgan Stanley report which predicts that within 5 years, global internet consumption on mobile devices will overtake internet consumption on PCs. "Mobile devices, by their nature, force users to become more mission-oriented. As more internet consumption shifts to gadgets, it's increasingly becoming an app world and we just live in it. Innovation, fun, simplicity and single-purpose utility will rule while grandiose design and complexity will fall by the wayside. It won't be enough just to build branded mobile applications that repurpose content across all of the different platforms. That's like newspapers taking the print experience and replicating it on the web as they tried back in the 1990s. Rather, we will need to rethink, remix and repackage information for an entirely different modality than platforms of yore"
What will this prediction mean in an Indian context? Let's look at how the figures add up. 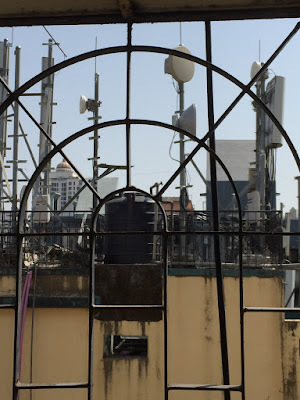 According to the TRAI telecom data, as of May 31st, 2010, there are approximately 617 million wireless (mobile) subscribers in India, and teledensity is over 50%. In other words, more than half of India owns a mobile phone. Look at internet penetration figures and they tell a dismal story. Broadband (speed of 256 kbps and above) subscriber base stands at just 9.24 million. The picture is not much better for GPRS services. Figures shared by industry heads at Mobile India 2010 project that there is a GPRS enabled consumer base of 50 million customers, but only 15-20% actually use it. So there are only 8-10 million active users of mobile internet, out of the 600 million plus mobile subscriber base. Operators drive the market growth through voice and SMS - developers create platforms and apps that facilitate web access on mobiles. There are lots of apps available for smartphones/ mobile operating systems like Android and iOS but what about the non-smartphones? We need some innovative apps and content that will create an interest in accessing the internet through mobile. An interesting example of a mobile innovation is being offered by a company called HP Labs. According to thinkdigit the company has developed a technology based on web computing which will allow non-GPRS phones to browse the web through SMS and voice. Described as 'compressed web interactions on the mobile', the 'SiteonMobile' technology uses widgets to deliver selective functionality and content to users. 3G will take time to become a widespread technology, but meanwhile the basic GPRS service needs to be packaged attractively to consumers. Once they get a taste of it, they are likely to get hooked onto it. Aircel has been quoted as a case study across the mobile industry. This article from Business Standard describes how the telco pioneered the launch of the pocket Internet card at just Rs. 98 per month and targeted the youth. In response, Aircel saw a huge spike in data usage, with 1.7 million customers subscribing to internet services by October 2009. Videocon, Docomo and Reliance all offer attractive packages ; some offer free unlimited browsing on specific sites like Facebook and Yahoo while others offer completely unlimited internet plans. Plans which are transparent and simple will encourage more people to sign up. Smartphones constitute a small percentage of total phones sold, but occupy a lions share of the internet traffic globally. The smartphone in 2010 is in fact, nothing but a mobile internet access device. When we see the launch of 3G in October, hopefully the latest smartphones from HTC, Motorola, Samsung etc. will also pick up sales and lead the mobile computing scenario in India.